Note: Do not even think about playing this without the HRP. Also, when you do have the HRP, go to autoload folder and remove or move a file named duke3d_music.zip. If you don't remove this file, the excellent custom soundtrack won't work. 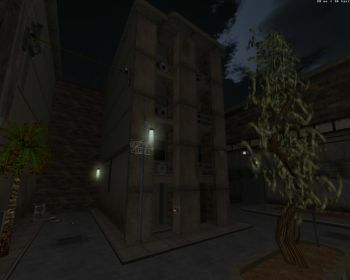 Description: David B. reappeared after a few years' hiatus late last spring and pumped out two maps in a relatively short period; first Highland, then Hamilton Pool. Now he's back with this stunning city/industrial themed two-map episode. Design: If the High-Resolution Pack ever needed maps to advertise its capabilities, then this would be it. 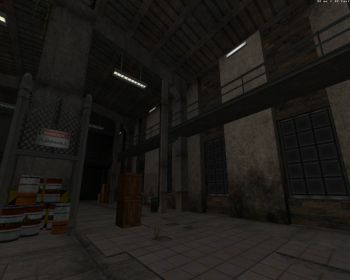 I had to check if the maps were using custom textures or if the stock HRP textures & sprites could really be responsible for all the eye candy these maps have got to offer: and yes, it's all stock material. Without the HRP the two maps simply don't look right, kinda like how many non-HRP maps simply don't look right with HRP textures. There is one problem though and that is that us ATI users have to tolerate a pretty low framerate: it's a good thing the episode doesn't support Polymer as it'd immediately render the maps unplayable. 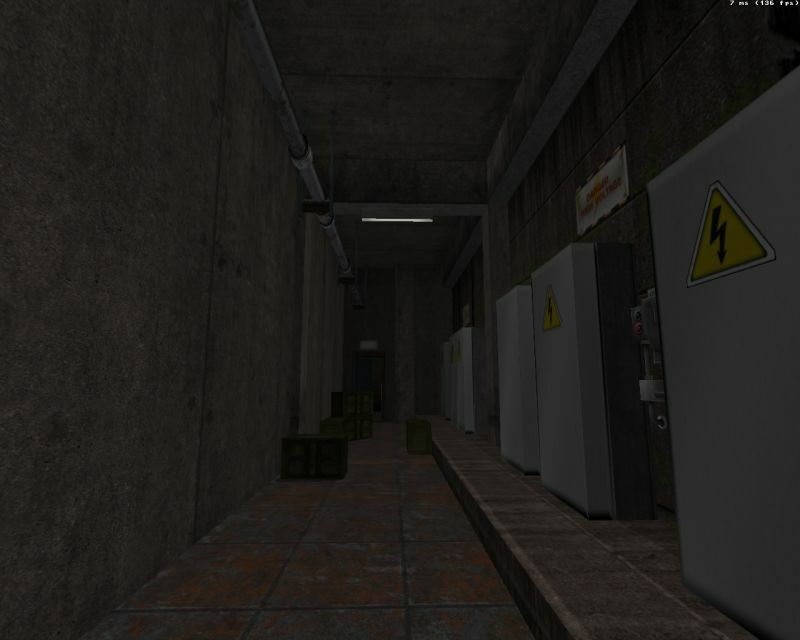 But what really makes the maps work is the desolate atmosphere they convey. The soundtrack is from S.T.A.L.K.E.R. and it's a perfect fit. There are also new environmental sounds and some refreshingly new disco music. All these work particularly well in the second map, a dock area that has seen better days. 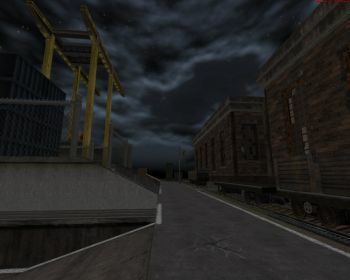 The music, the sounds, the texturing and all the dock cranes in the background combine resulting in something you haven't really come across before in a Duke3D map. Gameplay: For the sake of the story's coherence there are no Pig Cops which pretty much means you'll come across more Enforcers than you usually would. They can be a bit of a pain with their hitscan machineguns, especially when fighting them in a low-framerate environment. The maps are also not overly generous with ammo or health. The first time I played the second map I never found the RPG so, when the boss appeared, I had to scavenge the map for some ammo and was able to beat the Overlord with literally the last box of chaingun ammo I managed to find. (However, I missed a bunch of stuff during my first playthrough mostly due to sunlight.) While the maps rely on buttons and keys for puzzles, I never really got the feeling that I'm playing a typical Duke3D usermap. Finding keys and buttons usually requires a bit of vent navigation, jumping & such so there are always these little things that give the maps' puzzles a bit of extra flavor. Conclusion: David B. really came out big with Mill Town Rampage. 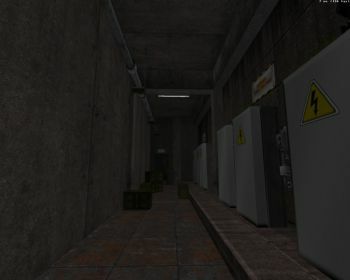 Its two maps are challenging and, most of all, refreshing in ways you haven't come across before. While there have been maps in the past with touches of desolation, Mill Town leaves those maps behind by a mile with its perfect combination of decayed industrial sights and sounds. While this is significantly aided by the HRP, the downside is that you may suffer from a relatively low framerate at times, but the episode's performance is still miles ahead of Polymer-only maps.